Not only has Guide Craft been making safe, durable, and long lasting children’s furniture and furniture for classrooms for 45 years, they also make all kinds of safe, durable, and educational toys that are also long lasting! I was given a wonderful opportunity to work with Guide Craft on a review and another product that we were sent for review was the Big Rigs Dump Truck. This truck is wonderful and my 4 year old son absolutely adores it! He has a lot of big trucks and this one has become his favorite. To start my review, I like to talk about how it was packaged. It was packaged wonderfully and fit snug in it’s colorful box. During shipping, the Big Rigs Dump Truck was shipped with another toy and they were packaged really well to prevent them from moving about during the whole shipping process. They arrived at our doorstep really quickly too. I remember when I opened the box, our son saw the truck and said, “That’s for me!” I thought it was pretty funny! It slid out of it’s box that it came in really easily so there wasn’t any struggling to get it out. It was sitting on carboard with the wheels in their own recesses in the cardboard piece so it didn’t move around and was wrapped in plastic. I thought it was packaged really well which I really appreciate especially when these items are shipped out. There wasn’t anything that we had to put together as it was completely assembled out of the packaging. It is made of birch ply and the color of the wood is really beautiful. The truck weighs about 7 pounds so it is a little heavy. My son loves the size of this truck and the weight of it doesn’t bother him at all. I think this is the first truck that he has gotten that didn’t require batteries and doesn’t make any sounds. This is not a complaint from this mommy! I have heard way too many loud trucks in my days. 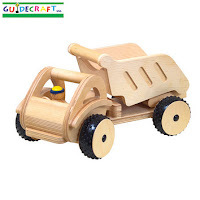 I love wooden toys and my kids do to. he doesn’t care that it doesn’t make any noises. He loves to cart things around in it and dump whatever he has in the back of it once he gets to his destination. Another thing that my son absolutely loves about it is that the back of the dump truck goes all the way to the floor. He has a few dump trucks that don’t lift as much and sometimes whatever he has in them doesn’t completely dump out. There isn’t a problem with this with the Big Rig Dump Truck that’s for sure! I like this myself because it makes it less likely for that part of the truck to break. Since it goes to the floor unlike other plastic trucks that he has that only go so far prevents the back of the truck from snapping off. The way that the back of the truck is manipulated and the way it’s crafted, I don’t see how any child can pinch his/her fingers on it at all. I like the rubber on the wheels as it keeps it from sliding if he is playing on the kitchen floor and the truck pushes really well on either hard floors or carpeted floors which is a really great thing. It also comes with a little wooden man that can sit in the front of the truck. The front of the truck turns easily making it easy to “drive” the truck in any direction. Another thing that a lot of plastic trucks do not have. he doesn’t have to pick it up to turn it around to go in another direction. The back of the truck also comes off which is pretty cool because he likes to take it off sometimes and he uses it as a flat bed truck. He calls it his semi truck when he takes the back off. Even though the back of the truck comes off, it doesn’t come off that easy during play so there isn’t really any concern for frustrations. However, my son can remove it and put it back on without any problems himself. There is a kind of glossy finish to the Big Rigs Dump Truck and as many times as it has been banged around, there hasn’t been any scratching done to the wood. The Big Rigs Dump Truck is also great for imaginative play. This is why I love wooden toys for my kids. Yeah the lights and sounds can be fun but without them, he makes the sounds himself and believe me, he knows all the sounds construction vehicles make! Again, Guide Craft has crafted another great toy. For the fourth time I get to say, well done! Here is another long lasting, durable, safe, fun and educational product from Guide Craft! Buy It: You can buy the Big Rigs Dump Truck for $70.00 by visiting Guide Craft. They also have other Big Rig Trucks like this one and of course they have a lot of other great toys and products! Win It! Guide Craft is giving my readers a chance to win a Big Rigs Dump Truck for themselves! One of my lucky readers will win! Giveaway is open to US. Giveaway will end June 22 @ 11:59 PM (EST). Winner will be chosen using random.org. Winner will have 48 hours to respond after I contact via email. If winner does not respond, a new winner will be chosen. Good Luck! And I have a Sunshine Award for you on my blog! 🙂 Thanks for being such an awesome blog! I love the retro Racers toy box!! So cute and unique! I love their 4 in 1 dramatic play theatre! I like Guidecraft on Facebook (Lauren Wayne). I follow Guidecraft on Twitter (@Hobo_Mama). I entered the Septoys giveaway! My favorite Guidecraft product is the high rise step stool! I'm a follower of dustinnikki on twitter! I love the moon and stars storage step stool! It's soo cute! i would like the high rise step up for my toddler. I would love to get one of their table and chairs sets for my daughter's room! I entered your little green books giveaway! I would love to add the wooden groceries and international foods to Otto's play kitchen! Entered the Barefoot Book giveaway. The Classic White Vanity and Stool would be perfect for my daughter's room! Thanks for the chance to win! I entered the great big outdool playball giveaway. I entered the SepToys 7-sided blocks giveaway. I entered the 5 children's books giveaway. I like the Flower Match Garden Patch. 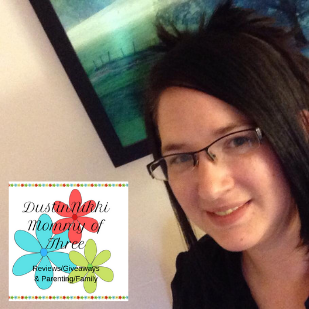 I entered the Barefoot Books giveaway! I follow Guidecraft on Twitter! I entered your Annabel Karmel giveaway! I like the 4 in 1 Dramatic Play Theater! I entered your Cosmetique Giveaway. 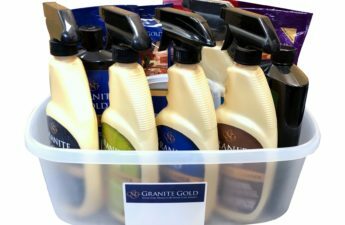 I entered your Gourmet Gift Basket Giveaway. I like the High Rise Step-Up and the Little Farm House Table & Chair Set. I also follow you on google friend connect. (Kelly Deaton) Thanks for the chance! i'm a fan of guidecraft on facebook! I love the Kitchen helper they have! i'd love any of the Magneatos sets! it would keep all the boys happy in my house! follower and I'd love to get SHAPE SORTING POUNDER! I love the Guidecraft Kitchen Helper. Great stuff! 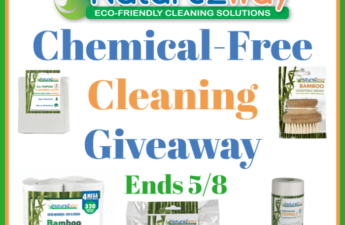 I entered your Fresh Wave Green Home Kit Giveaway. I entered your Guide Craft Flower Match Garden Patch Giveaway. I Fan Guide Craft on Facebook. I follow Guide Craft on Twitter. I'd love the Kitchen Helper too! Following GuideCrafts blog via GFC. I love the KIDDIE ROCKER SET in blue. Love the modern style. I like the Swan lake Toy box. I am a follower of your blog via Google Friend Connect publicly. 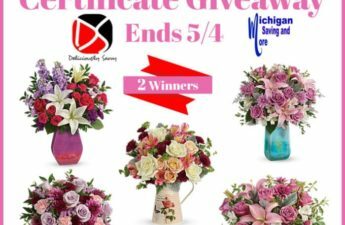 I entered the Guidecraft Flower Match giveaway. I follow the Guidecraft blog. My son would love this! He'd also enjoy the Twist "N Sort puzzle. I follow Guide Craft's blog. I'm a Fan Guide Craft on FB. I LIKE!!! the Butterfly Clothes Tree, GREAT!!! for my grand-daughters room. i love the 10 piece rainbow blocks set! Entered the SwaddleDesigns Triplets Paisleys Swaddle giveaway. Entered the Barefoot Books giveaway. Entered the Fairy Wonderful (tutus) $25 GC Code giveaway. Subscribe to your feed via google reader. I am Guidecraft's Facebook fan. I love the Doll Buggy and the Doll Bunk Beds in Natural. I love the kitchen sets. Think my niece and little girl would love it!